Beginning as a cover band, Switzerland's Crystal Ball has been chugging along for better than 20 years. A brief six year hiatus couldn't stop them as they rebounded in 2013 with a new album. Since then they've remained consistent. This year's Deja Voodoo is their third album in four years, ninth overall. That consistency also speaks to their music of choice. 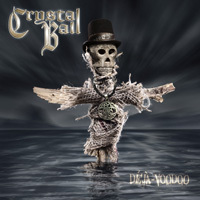 Once more, Crystal Ball delivers a large platter hard rock infused melodic heavy metal. Many of their musical strengths are self-evident. Strong twin guitar harmony, yet with brisk riffage gives them the metal edge. Of course, from a twin guitar attack you get plenty of fiery solos, one of the sin qua nons of "true" heavy metal. Also, giving Crystal Ball the metal angle is the sturdy rhythm section which stays heavy and keeps the rock groove going. Vocalist Steven Mageney sings clean and melodic, yet having some Bryan Adams rasp to his voice. All these things are wrapped up in the foundational elements of melody and groove. It's the basic formula, even a conservative and repeatable one, and it works for Crystal Ball. As for the songs within, you should be aware that this is a long album, 13 songs at close to an hour in length. Mostly they songs are as advertised and as described. You get some heavier hard charging stuff with Director's Cut, To Freedom And Progress, and Time And Tide, all large on big riffage and thumping rhythm section. In other songs the rock groove, melody, and lyrical hooks rise higher as within the title cut and Reaching Out, which has a catchy refrain. There are two metal ballads with the heavier Home Again and the calmer To Be With You Once More. 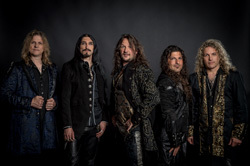 It's possible that a few songs could have been trimmed but, overall, Deja Voodoo is a well-rounded, well-crafted, album of melodic heavy metal. You definitely get your money's worth. Recommended. 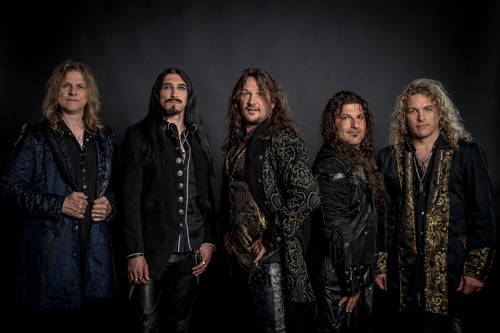 It's possible that a few songs could have been trimmed but, overall, Deja Voodoo is a well-rounded, well-crafted, album of melodic heavy metal. You definitely get your money's worth. Recommended.